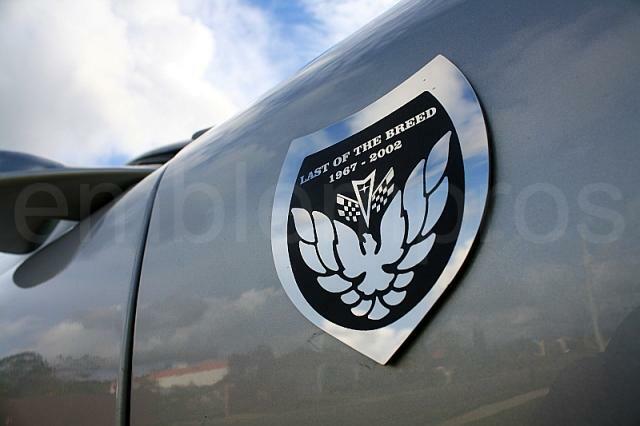 'LAST OF THE BREED' EMBLEM, In Premium Mirror Finish 18GA Stainless Steel and featuring a permanent black etch. Very High Bond 3M emblem adhesive applied to the backside of each emblem. 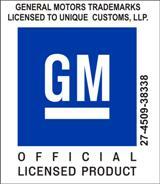 For your Firebird/TransAm. Size 3.2 x 3.4" apprx. Include one (1) 'Last of the Breed' Badge of your choice.